As we speed into Spring, the holiday season is fast approaching. Last year, despite being 6 months pregnant and with a 3-year-old in tow, we chose Venice as the destination for our family holiday. Not exactly the first destination that comes to mind when you think of a holiday suitable for a little one but I was keen for us to experience something a little different while we could. A family friendly city break? Here’s a bit of fun for you. 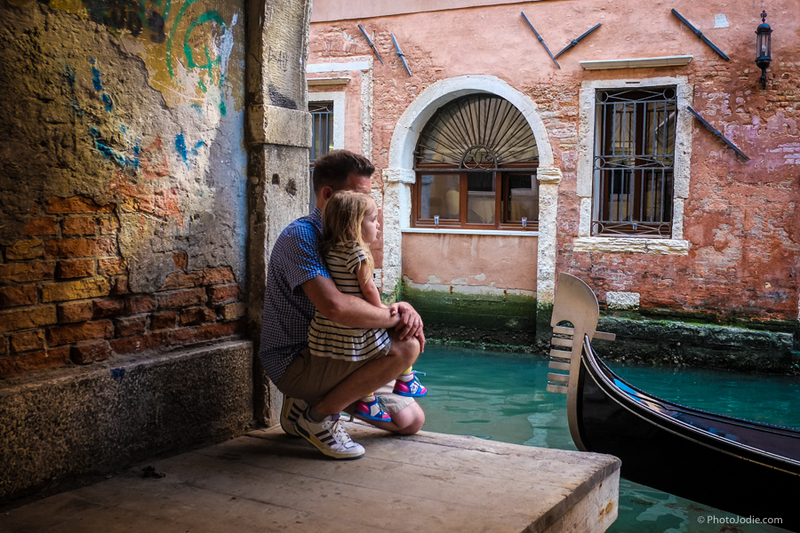 When your friends and family start talking about their holiday plans, drop into conversation that this year you’re going to Venice… With a toddler! 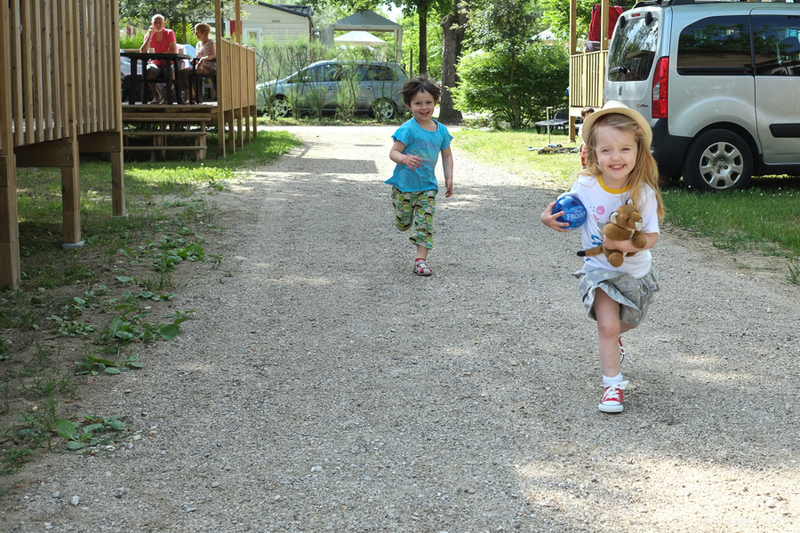 A family friendly city break isn’t the easiest thing to find, and some would question if it even exists. But actually, this little idea of mine was founded on some very good logic. Seeing as we’ve survived and have the photos to prove it, I thought I could share my tale here on the blog. 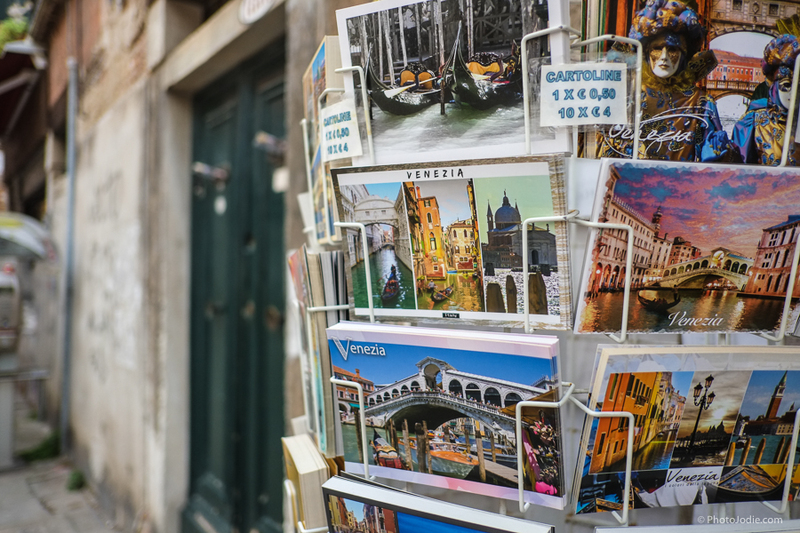 Here are just a few reasons as to why Venice can be a great family holiday. 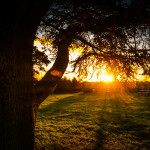 Researching our holiday options online I found that most package holidays these days fly with Monarch or EasyJet from Gatwick, Luton or Stansted and although the flights might seem a bargain, by the time you factor in getting to the airport, they’re not exactly the most stress-free way to kickstart your holiday. Flights to Venice are short and very child friendly. 2. 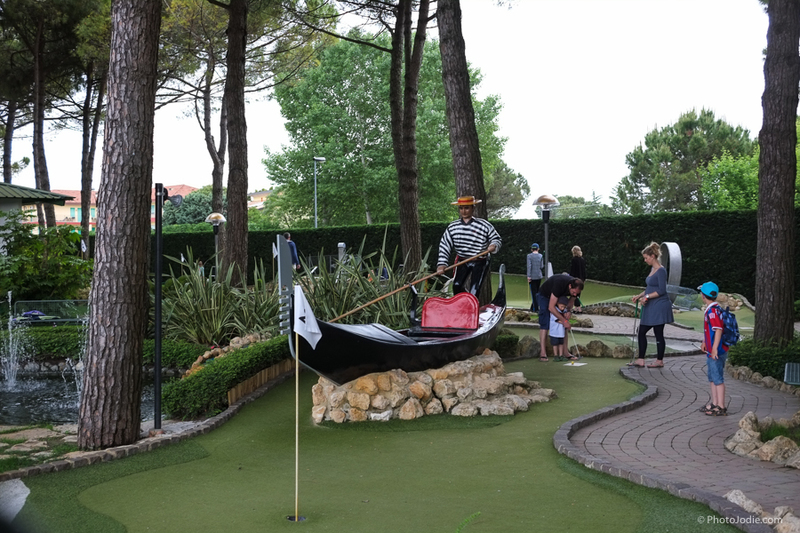 Family Friendly accommodation across the lagoon from Venice. 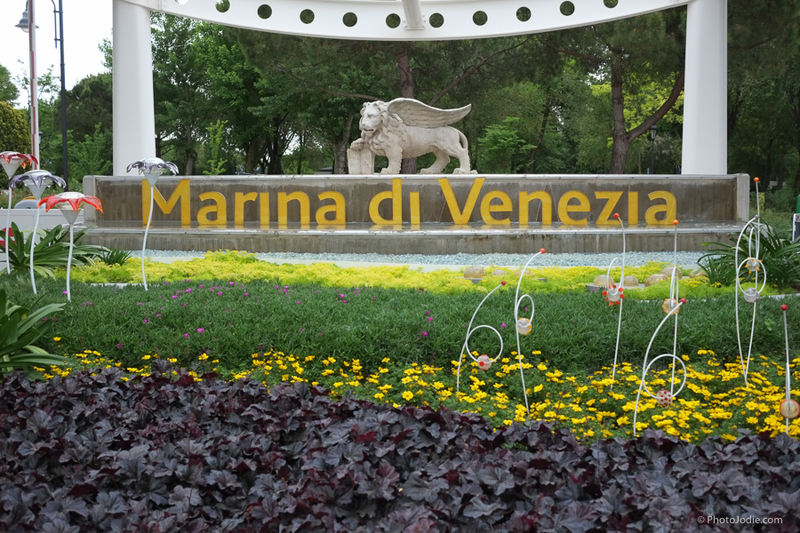 Rather than stay in Venice itself, we opted to stay at a luxury campsite called Marina di Venezia, just across the lagoon from Venice. 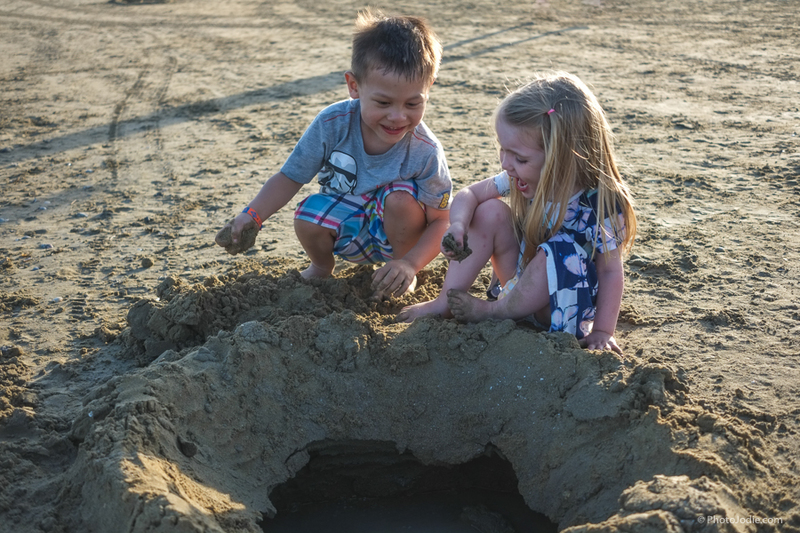 On the site there is an Aqua Park with 5 outdoor swimming pools (three, yes THREE, of them heated), a beautiful sandy beach, Mini Golf and Adventure Playground, children’s entertainment, shops and plenty of restaurants. 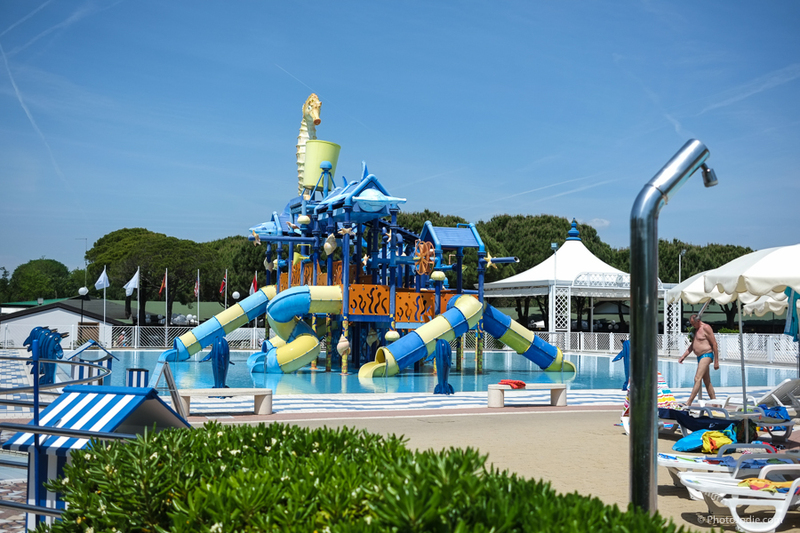 Marina di Venezia is a 5 star campsite. There are plenty of shallow, heated pools. Perfect for little ones. The beach was accessible straight from the campsite. 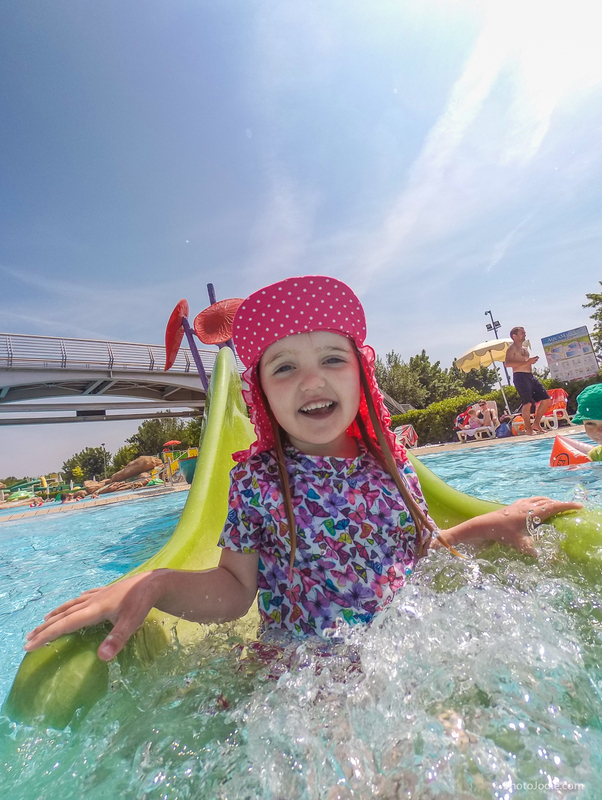 Waterslides and fun in the AquaPark on site. Mini Golf at the Campsite. 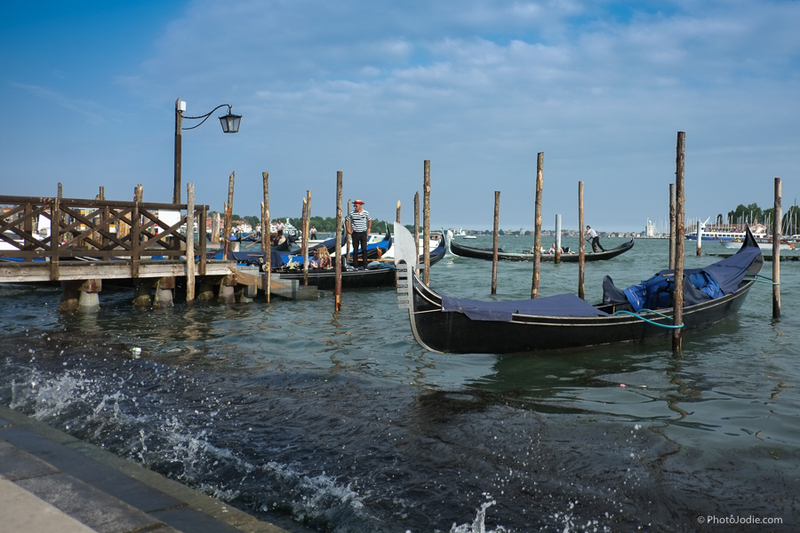 When you want to visit the sights of Venice you catch the Vaporetto (public transport water bus) from nearby Punta Sabbioni and enjoy a short 15 minute ride across the lagoon to Venice. 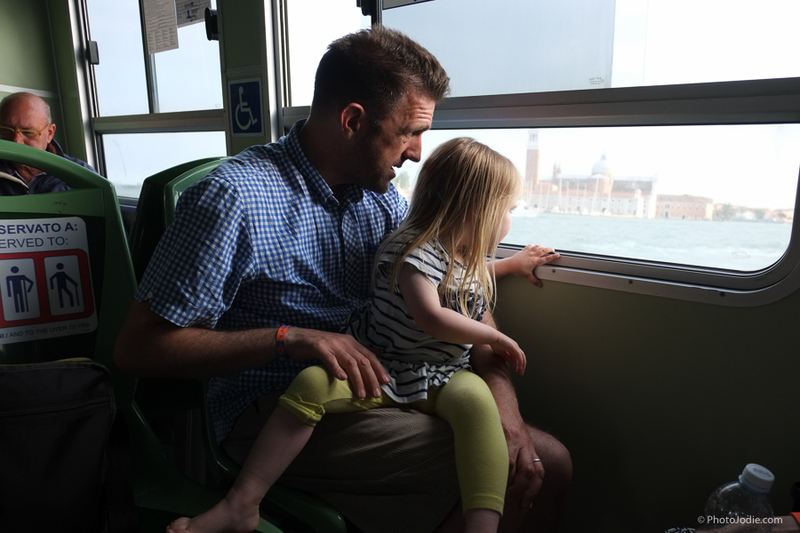 After a manic day amongst the crowds of Venice, it’s equally simple to come back; the ferry is pretty regular and it feels liberating to step away from the heat and the crowds and sail into the fresh air back towards the beach or the pool. Our Little Lady loved all of the pools. They were shallow, warm and had plenty of slides. She quickly ditched her armbands. I have to admit that this has come as a bit of a revelation for me. When we were planning our first family holiday with the Little Lady I was adamant that we needed to go All Inclusive, and that we needed it to be a good one. So after hours of research I found us a gorgeous hotel complex in Lanzarote offering 5* All Inclusive food and drink for a pretty fair price. But I hadn’t factored in the logistics of All Inclusive and having a small child. Inevitably she would wake up most mornings at 7am, we’d be in desperate need of tea and coffee and she would need breakfast. In the hotel complex we were staying in, this meant that we needed to get up, get dressed, leave the room, and navigate a few lifts and a 10 minute walk to the restaurant, find a table and then take it turns to sit with her while each of us went and filled a plate or made a drink. All the while hoping that we could eat our breakfast before she got bored of sitting at her high chair and we needed to trek back to the room to get ready for the day. Contrast this to being self catering: She wakes up, Mr H brings tea and coffee in bed while the little lady has cuddles and steals my phone, then one of us gets up in our PJs, gets some cereal out, she potters around eating and playing while one of us has a shower and vice versa. Its just much, much simpler! With restaurants on site and close by, I didn’t cook a single meal while I was there, we either ate out or bought fresh bread, italian meats and cheese and picnicked on the terrace outside the mobile home, mostly while she napped or played with her cousin or the other neighbouring children. There were several restaurants on site. 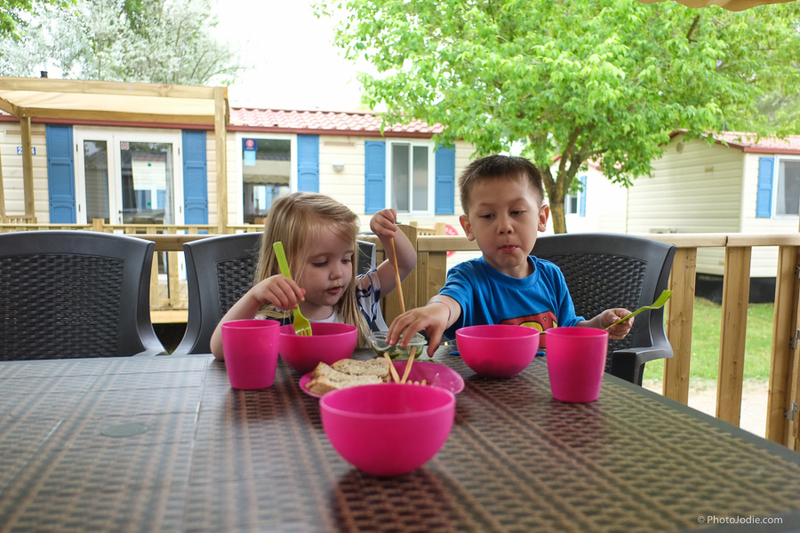 It was easy to pick up food from the supermarket for a picnic on the decking outside the accommodation. 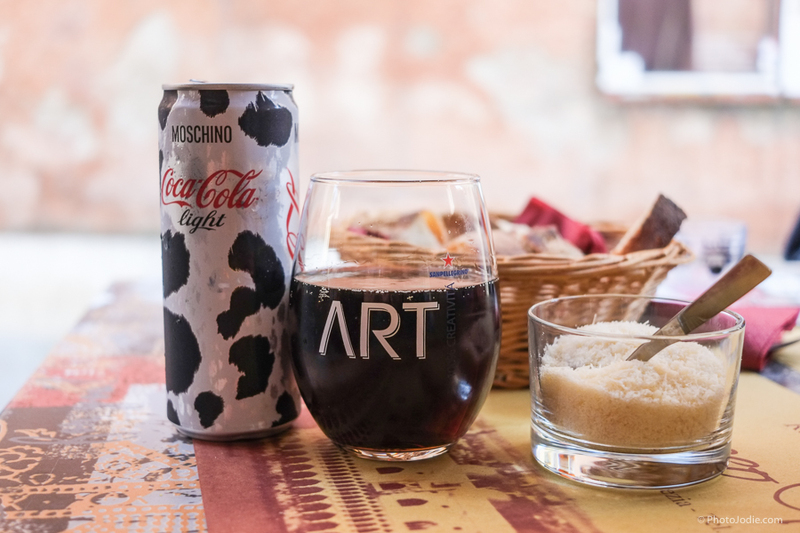 Designer Diet coke… only in Italy! 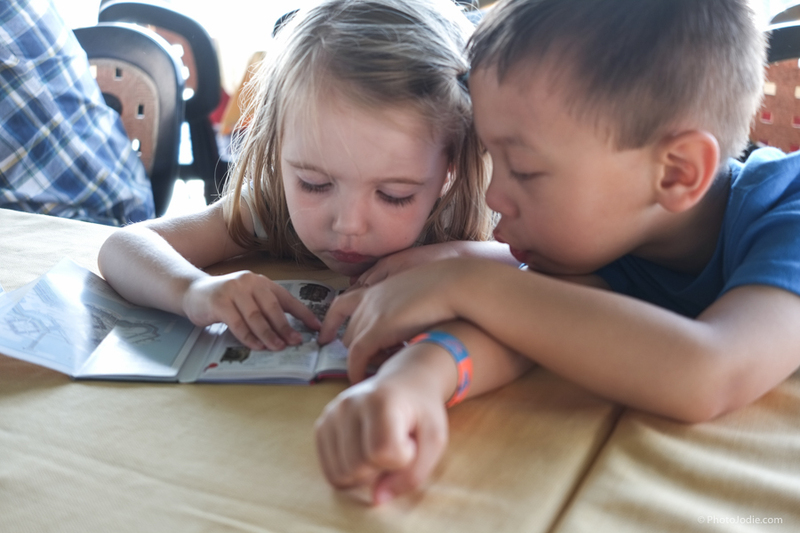 The kids enjoyed being able to have snacks when they wanted. Would we be able to take a pushchair or would the streets be too narrow and uneven? Would I be in constant fear of her falling into a canal and turn into ‘over protective parent’ for the whole of our trip?! Exploring with a child and a pushchair, would we be a huge inconvenience to the residents of Venice? Would we feel ‘cheated’ going back with a child and being more limited in where we could explore, or would there still be some magic? Although Venice is small, each of its areas are very different in character. 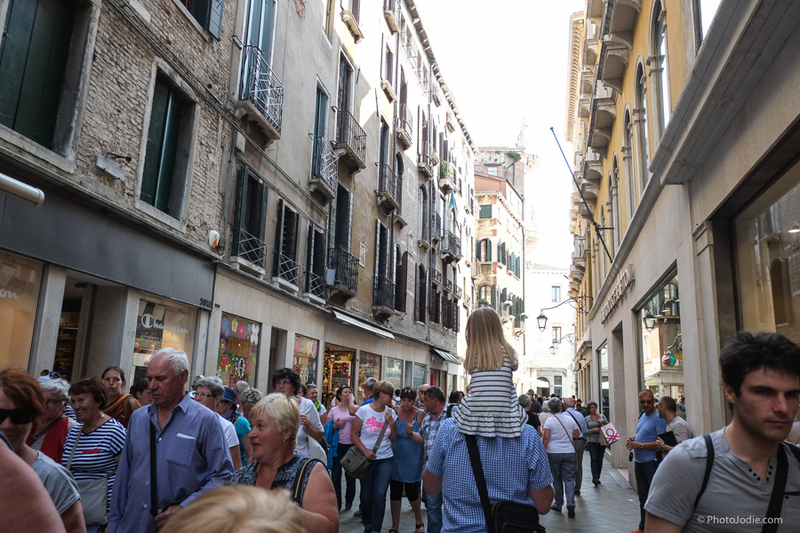 We found that by steering clear of the most popular tourist areas we were greeted with wide pavements and large piazzas that were smooth and flat, easy to push a pushchair around and it felt safe enough to let the kids walk (run!) around. 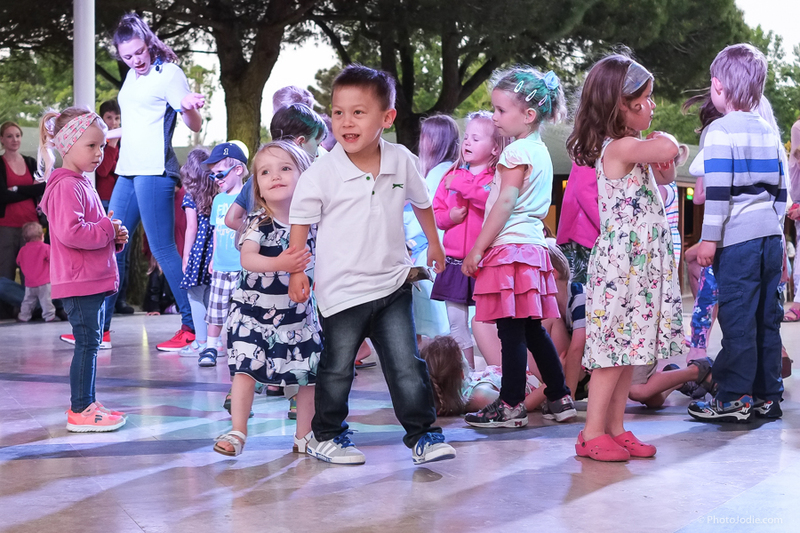 The Santa Croce and San Polo area, right at the top of The Grand Canal were perfect for this and we even found a lovely shaded park with a children’s play area near the train station. In the quieter areas it was easy to navigate with a pushchair as the streets were wide and flat. By exploring the backstreets (backwaters?) 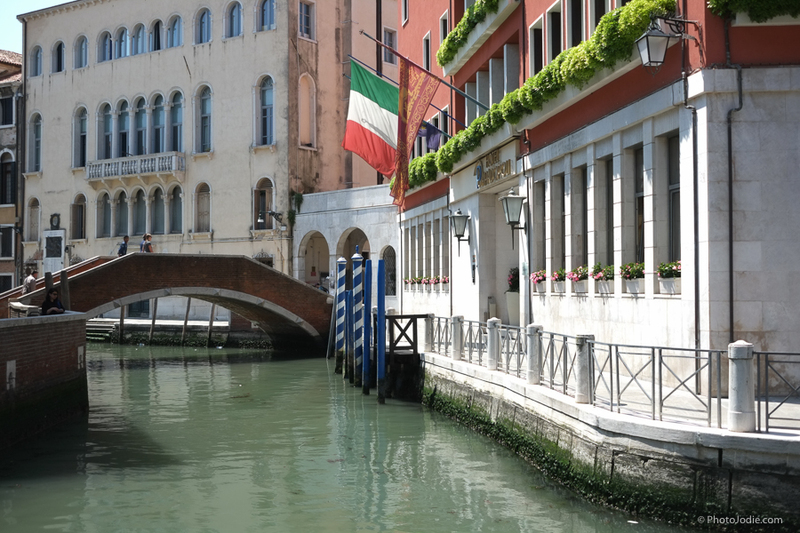 we found that most of the canals were built up on either side by buildings, and although we’d have to go up and down the steps and carry the pushchair to cross the canals, we weren’t always walking next to open water. In the same way that you would ask your children to stay close to you so they don’t run in the road at home, we didn’t feel under any more pressure from the canals than we would have done in a busy city at home. 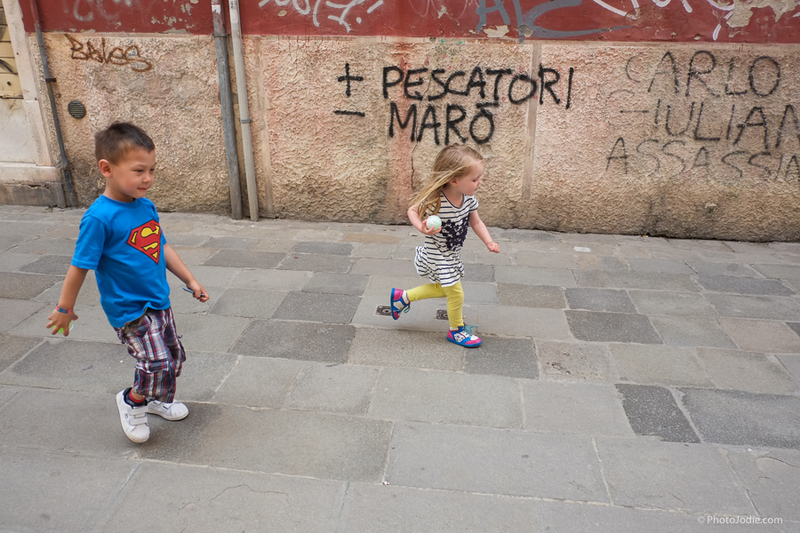 The little ones enjoyed running around in the Piazzas. There were lots of interesting things in the shop windows. 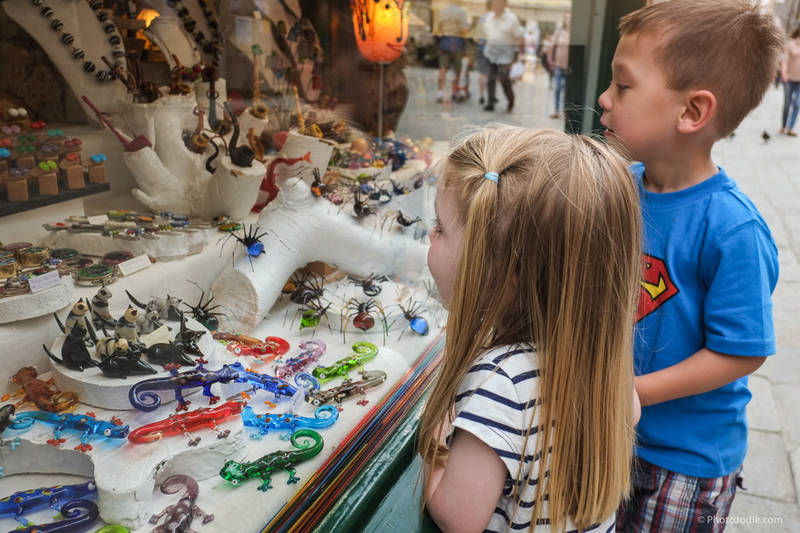 Check out the glass spiders! When they got tired we would stop for a drink on a side street. As we got towards the more touristy areas near Rialto Bridge and St Mark’s square the atmosphere definitely changed and we found it easier for the little lady to be on Daddy’s shoulders instead of walking with us, and we found that ducking into smaller side streets gave a welcome relief and the chance for a pitstop for drinks (and breadsticks!). When we needed to cover a longer journey we caught the Vaporetto and there are plenty of signs saying that pregnant ladies and people carrying children get priority seating which was a bonus for us. I didn’t ever feel that we were ‘in the way’. There were seats at the front of the Vaporetto for parents with children and pregnant ladies. We took the pushchair with us, but she enjoyed cuddles with Daddy, too. In the busier parts of town we folded up the pushchair and carried it while she enjoyed a great view on Daddy’s shoulders. By the end of the day she was worn out! Maintain the magic of Venice? 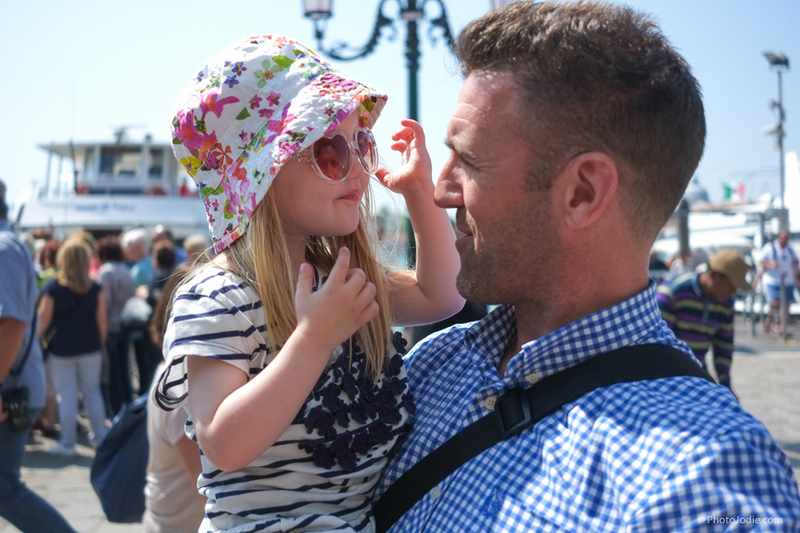 And as for feeling cheated…Obviously if you’ve been to Venice on a romantic city break, then going with kids is going to be a very different experience, but we were still wowed by it. We discovered some new areas to explore, and being there with my family who were ‘Venice Virgins’, it was great to see their wonder as they experienced it for the first time. 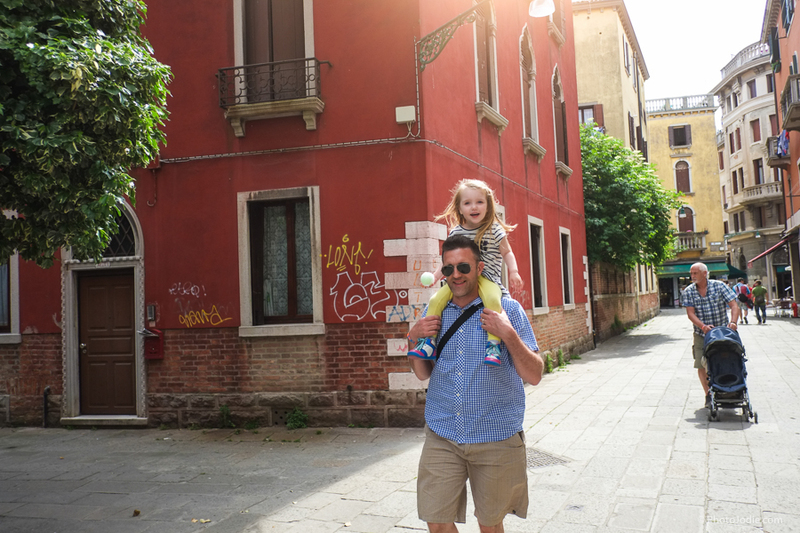 Although I spent some of the afternoon looking longingly at people leisurely sipping large Campari Spritz’s in the sun, we still felt that Venice was a treat for the senses, and as a plus, after a long day of walking (and carrying our daughter – thanks Mr H!) we were able to get back on the Vaporetto and head back to the beach on the campsite for a chance to unwind. 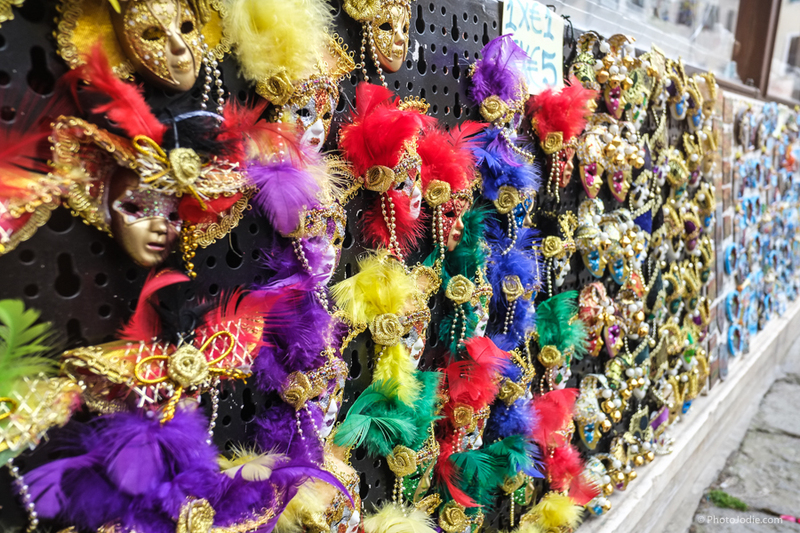 Brightly coloured souvenirs in Venice. We visited in may and it was warm, but not too hot to walk around and enjoy the scenery. The blues, all the blues! 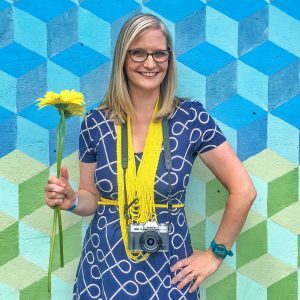 A photographer’s paradise – I was super happy! Gondola watching with Daddy. Even the back streets are full of charm and things to look at. Not usually the words you’d associate with a city break, but by choosing to stay on a self catering campsite and travelling in May, out of peak season, we avoided all the expense of hotels in Venice. 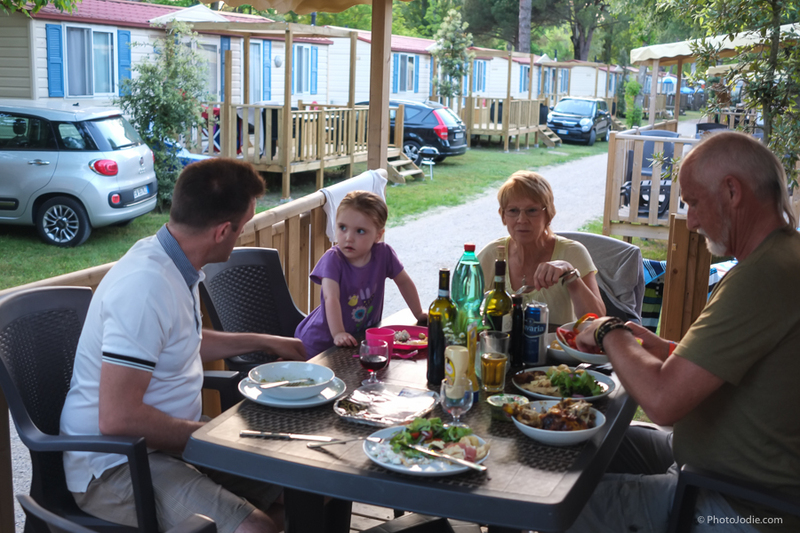 I booked two luxury mobile homes, each with air-conditioning, 2 bedrooms and 2 ensuites, one for the three of us and one for the grandparents for 8 nights for £325 per mobile home. Although he booked a little later, my brother was also able to reserve a mobile home next door to us for him and his son for a reasonable rate too. And these weren’t just any old mobile homes. They’d recently been refitted and had a brand new feel about them. 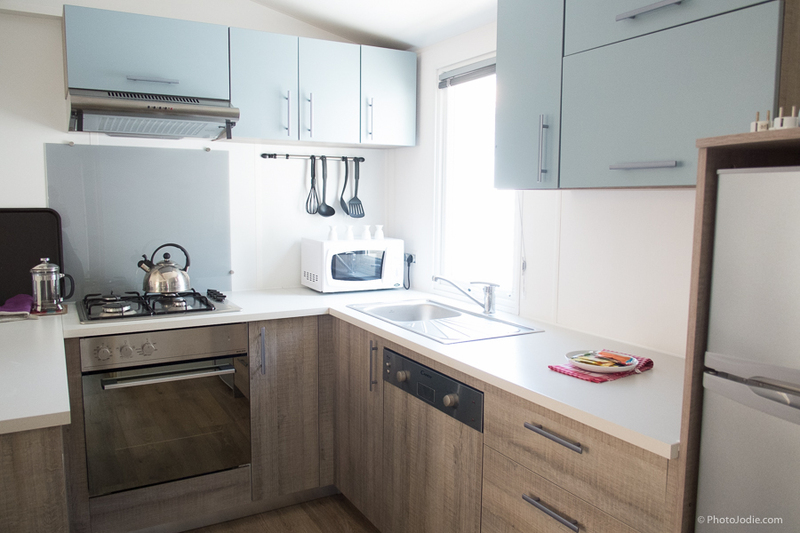 They had two bedrooms, both with ensuite shower rooms, a kitchen with all the mod cons, air conditioning and a terrace with a shaded area for eating meals with the family and a sunny area complete with sun loungers. You’d struggle to get that level of facilities for the same price in the UK! Inside the mobile home it was clean, fresh and contemporary. Peeping through the window to wake up Nanny and Poppa! Plus for the first time in many years I didn’t feel ripped-off by being self-catering. Instead of the usual overpriced local supermarket for the tourists, both the onsite shop and the one just outside the campsite offered a full range of food and drink at decent prices. Whereas on a previous holiday in Crete we’d had to buy imported cereal at the alarming price of 7 euros for a box of ‘Special K’ (eek! ), here there was plenty of Italian produce, most of which was much cheaper than at home. And as special treat for dairy-intolerant me, they even stocked almond milk! 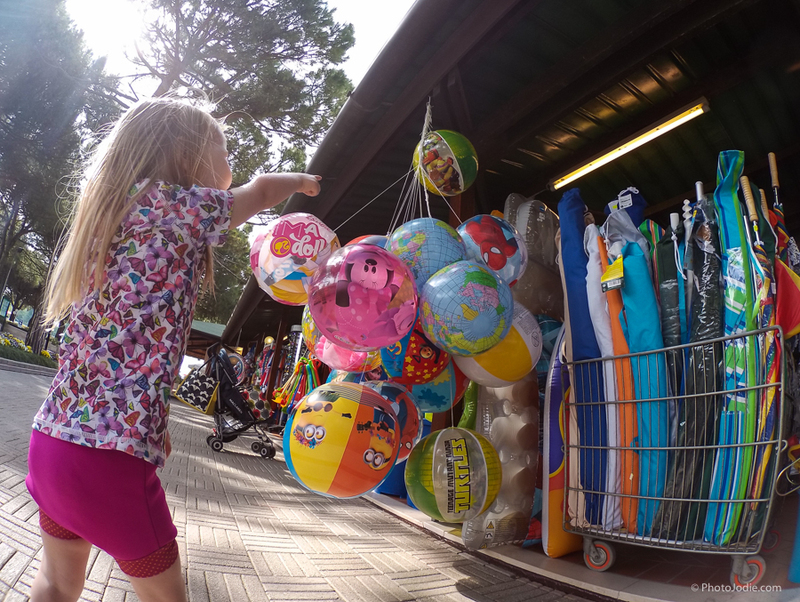 There were lots of shops onsite, including one selling lots of beach paraphernalia which the Little Lady was fascinated by. These were all reasonably priced though. When we wanted to do a day trip to Venice or any of the other islands like Burano, we paid 10 euros for a taxi for 5 of us to Punta Sabbioni, then an all day hop-on-hop-off Vaporetto ticket that took us across the lagoon and in and around Venice was 20 euros each for the adults (approx £14 at the time) and children under 6 were free. 5. You’re spoilt for choice with things to do. What I loved about this holiday is that it seemed to give us the best balance of a city break with interesting things to see (and take photos of – I admit that’s always on the list for me!) alongside activities for the kids. Looking back at our all inclusive Lanzarote holiday, it was great if you wanted to stay by the pool the whole time, but if you left the complex the nearest civilisation was a good 15 minute walk away, and even then it was just a bog standard beach resort. This holiday we had the option of leaving the site and going to Venice, one of the most unique places in the world! The beautiful island of Burano. Much quieter than Venice and every house is painted a different colour. So, so beautiful! Even back at camp you had plenty of options. From our mobile home we could walk straight onto the beach in less than ten minutes. No busy roads to cross, no public transport to catch or any other hassle, it was right on our doorstep. 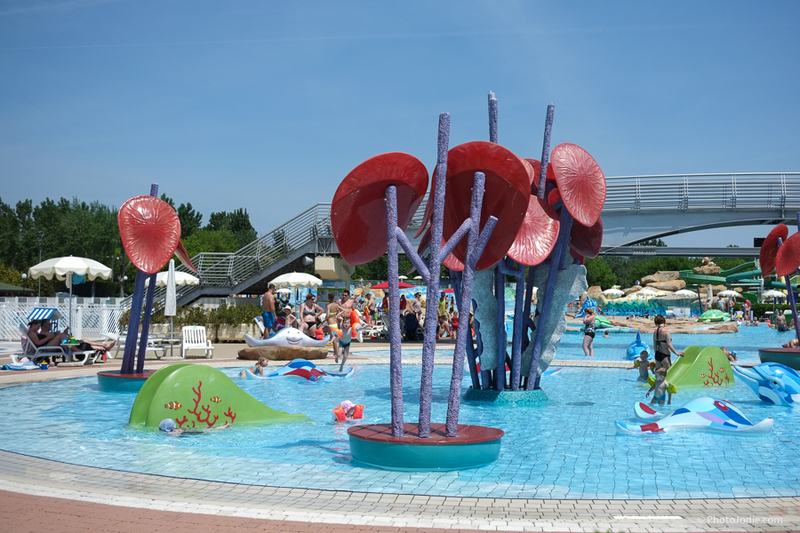 And if you got bored of the beach a ten minute walk in the opposite direction took you to the on-site waterpark which is by far the best managed and maintained pool complex I’ve ever seen. 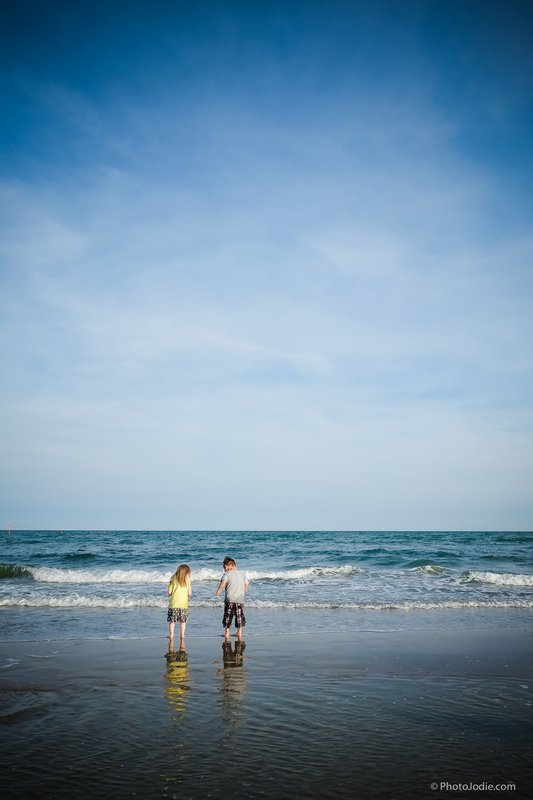 When we had finished sightseeing the kids had good old fashioned fun on the beach digging holes. 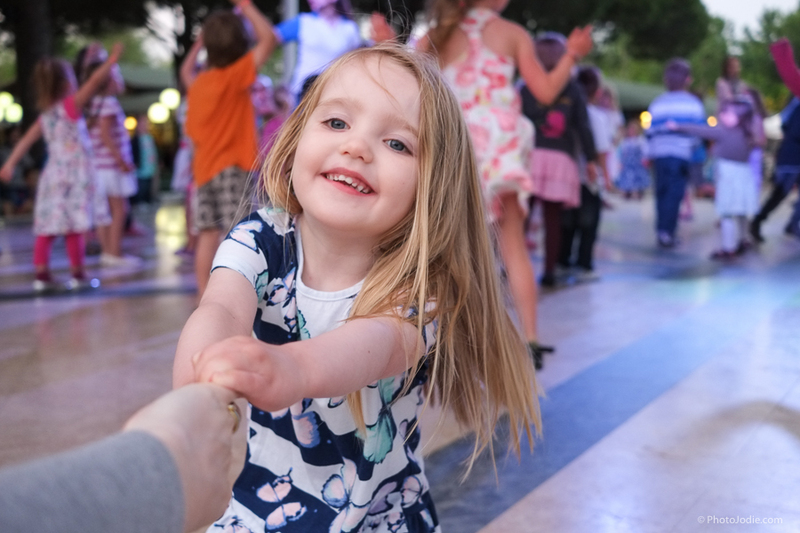 The Little Lady enjoyed the mini disco each night. And who was I to resist joining in! 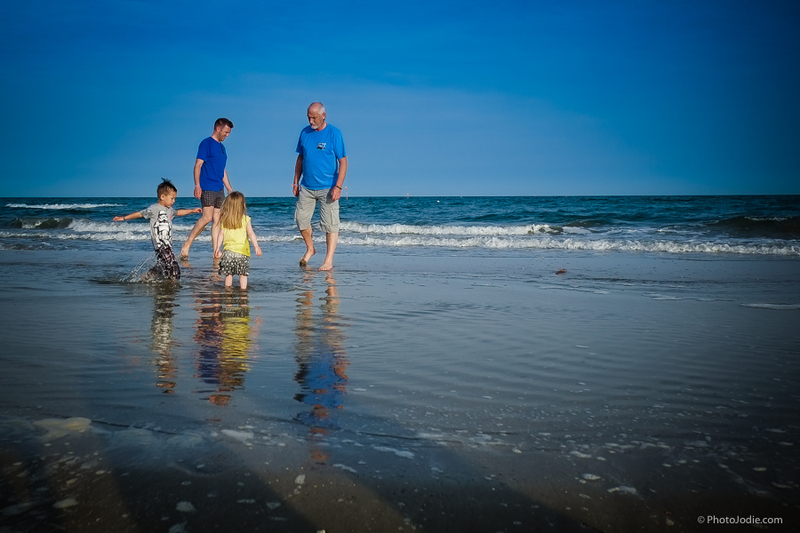 Considering that after our first family holiday in Lanzarote I came back saying ‘never again’! Or ‘not till she’s much older’! I’m pleased that we took a risk and tried something a little different this time. 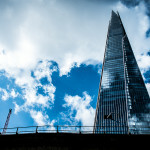 We avoided the trek to Gatwick, the long flight and transfer to the hotel and instead gained a sense of freedom with so many options of what to do each day and where to eat and drink. On top of that it was great to see that Venice still had a touch of magic, even with a child, even as a mere ‘day tripper’. I’m so relieved to be able to say that it didn’t disappoint for any of us. I was chuffed to hear my Mum saying it beat all of the cities she’d visited before and that she couldn’t wait to go back and explore! But the positive reviews don’t stop there. As well as a thumbs-up for Venice, there was a unanimous thumbs up for the campsite itself with both my brother and my folks talking about rebooking for next year. The combination of good value, modern accommodation with the beach AND an amazing pool complex is pretty hard to beat. We could become regulars! Hopefully I’ve whetted your appetite and if you fancy doing something similar, here’s what you’ll need to know. We travelled mid-May with British Airways and by travelling on a Tuesday we got return flights for £250pp (they rose to £450 pp on different days of the week). I booked around 6 weeks in advance, but I know you can secure much better deals if you book earlier. 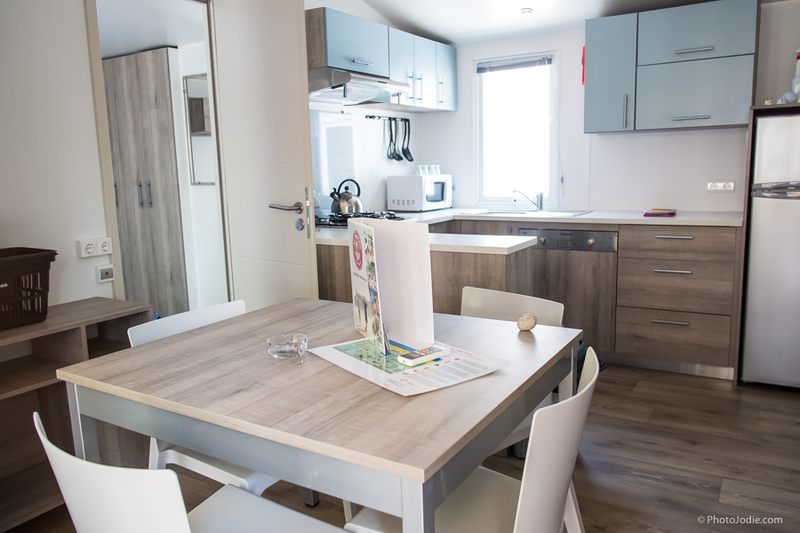 There are several options for accommodation on site at Marina di Venezia, and we were comparing deals between Eurocamp and Al Fresco. Al Fresco seemed to have had recently refurbished their accommodation and were offering a 2 for the price of one offer at the time of booking. I pre-booked a transfer from Marco Polo Airport in a private luxury minibus for 96 Euros each way. (approx £70 split between us) It was air-conditioned, we were greeted at the airport desk with a welcoming handshake and helped with our luggage and there was plenty of room for 4 adults, 1 toddler, 5 suitcases and a pushchair. It took about 45 minutes to get to the site and we really felt like we were arriving in comfort and style. Plus as an added bonus, I had been able to chat to them in English on email to ensure that we had a car seat and room for the luggage etc. You can find out more here. I’m not affiliated to any of the companies mentioned in this post but have included links to their sites in case you would like to book something similar. If you have pre-schoolers or toddlers then visiting in May or September can mean you get a great bargain. We did the same, Ryanair from Dublin and thoroughly enjoyed it. My granddaughter was 4 and made friends with the family in the mobile home next door and enjoyed spending time in the pool with them. Thanks for sharing and reminding me. We went to Murano and I to Venice and on a gondola which she loved. Great to hear you had a good time too. Lovely friendly atmosphere on site! Great reading this post. I was initially just looking for opinions on taking a stroller or not but ended up reading the whole thing. We’re going this weekend for Carnival with a toddler and I am also pregnant. 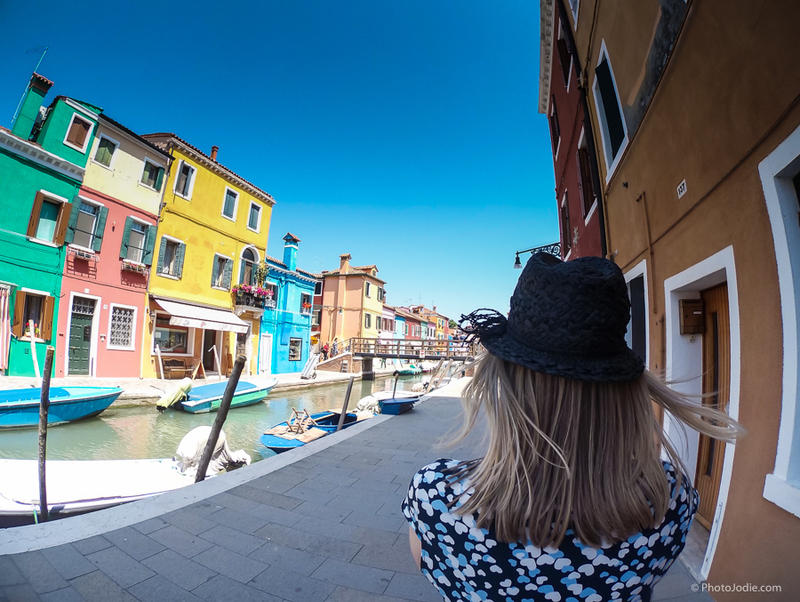 Have you been to Murano too? Would you prefer Murano or Burano? Ah, glad it helped! I’ve not been to Murano, all the trips seemed to be about selling me glassware and I wasn’t sure whether my daughter would actually enjoy that. Carnival will be an amazing sight! Just steer clear of the main tourist sites and the area near where the cruise ships stop: they are the most over priced, everywhere else you can find better value food and drink.